Sigh - why do my favorites end at the bottom sometimes? This is really nice! I don't know why. But I kinda like this shot. Very interesting, you should have placed some text on this CD cover to finish it. Sorry but this photo didn't do or say anything to me. 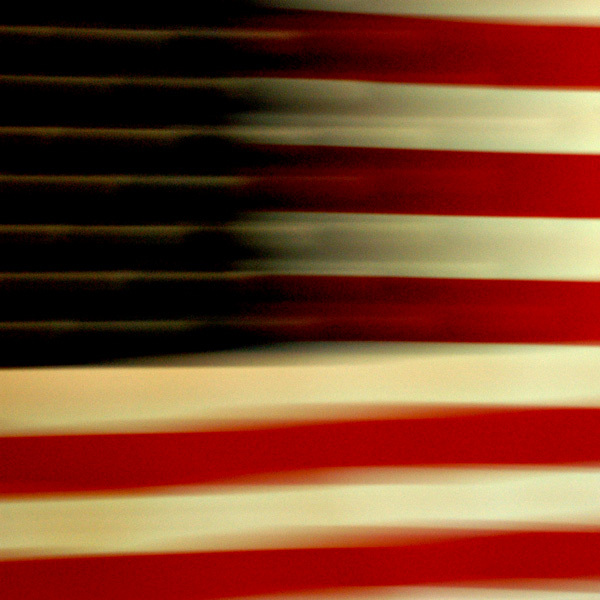 The motion blur to the left of a striped flag dosen't seem to work. Very cool and imaginitive presentation. I love this photo.!!! I dont even care that I dont care for the name of the band. Good job!!!! Not really an album cover but the photo is spectacular. How did you do this? 8 on the photo by itself!!!! I like this idea very much and would have scored it even higher had it had some text on it to further develop the idea. very good. could easily be a real album cover. Good band name and convincing cover. Some text would help, although with cover art like this, sometimes the text is confined to the back and on the spine. I like the blurring and the way the shadow area mimics the field of stars. Very simple and effective. I wonder how you are doing on it? It doesn't look like a crowd pleaser to me. This is not to criticize--just an observation. I really like it. My husband liked it also. We have some experience as he's always been in recording bands and involved with several CD releases over the years. This looks a bit grainy, but other than that, a great photo for an album cover. Proudly hosted by Sargasso Networks. Current Server Time: 04/24/2019 09:51:25 AM EDT.